We offer the Best locally roasted coffee beans, by Port City Coffee Roasters, to serve you the freshest coffee and espresso drinks in the area. Coffee Break Cafe offers a full breakfast and lunch menu, coffee, espresso bar. iced drinks, frozen drinks and special Chai. Enjoy our hand crafted panini sandwiches, salads, wraps, Hot Dogs and special burgers along with an assortment of baked goods. All of our menu items are made with the Freshest ingredients and locally purchased when available. Try our Authentic Italian Ice Cream (Gelato). 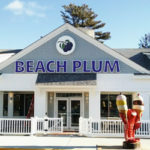 “We are your Neighborhood Cafe.” We are located in the small plaza on the corner of 23 Ocean Blvd & P Street. 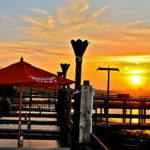 Ray’s is a family style restaurant with the best views around. We offer baked and fried seafood, the best steamers around and fried clams that You Can’t Beat. Our upstairs dining room has wonderful ocean views and most days you can see The Isles of Shoals. In our bar/lounge, enjoy views of Rye Harbor where you can watch the boats come and go and watch your favorite sports team on our two plasma TV’s. In the warm weather we have an upper outside deck where you can feel the ocean breeze and enjoy the views and delicious food together. Reservations excepted for larger private parties. 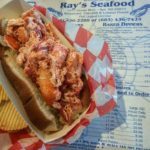 Ray’s Seafood Restaurant has been in business for over 50 years and is one of the oldest continually operating seafood restaurants in seacoast New Hampshire. Our dedication to providing quality seafood at a reasonable price has made Ray’s a must stop location for thousands of vacationers every year. We catch our own Lobsters! Sit back, Relax, and Enjoy. 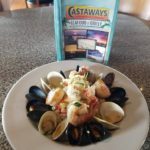 Whether you are looking for an light bite, a drink or a full dinner, Castaway’s Seafood & Grill has what you are looking for with our exquisite food and an atmosphere equally pleasing. 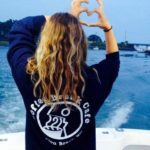 Our two large decks known as “The Views” where you will see the best sunset on the Northern Seacoast and get served up cocktails with a distinctive Island flair. 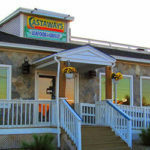 Castaway’s menu includes everything from all types of fresh seafood to delishes sandwiches. 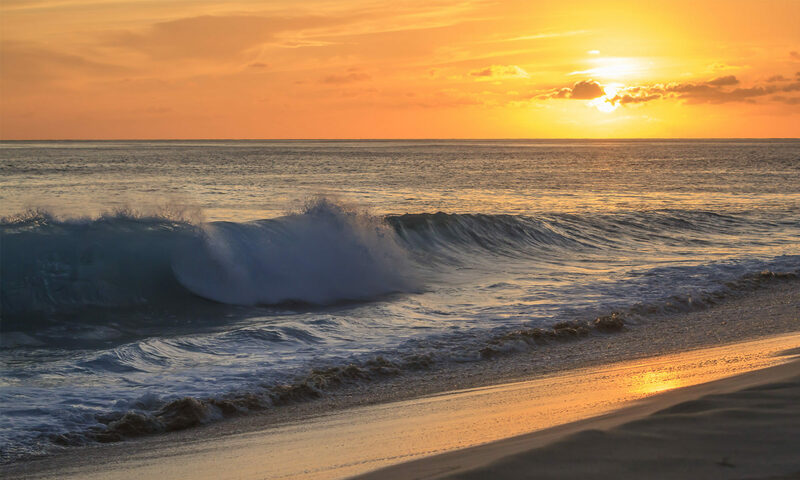 Enjoy oceanside dining at Breakers Restaurant. A new prix fixe menu is available Sunday-Thursday. With a refined yet casual, pub-style atmosphere, Breakers is a favorite among hotel guests and Hampton Beach locals alike. Sample our award-winning clam chowder, try one of our seafood specialties, or indulge in one of our nightly specials. Cap the night off with a signature drink in Breakers bar or dance the night away with our DJ. Wharfside has been a coastal breakfast favorite for years serving up made-to-order specialties such as Loaded Belgian Waffles and Hearty Egg Dishes. We’re casual and family friendly…so come as you are.